I started off my baking a few weeks ago and my first bake was the simple Christmas tree brownies. 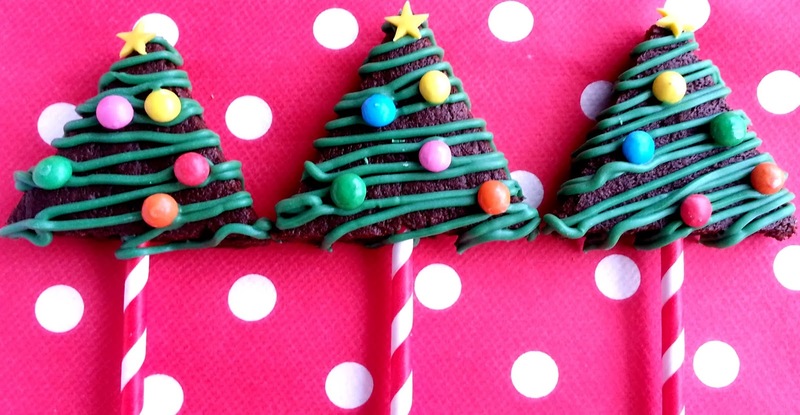 I popped them on suitable festive lollipop sticks and the kids loved eating them as a special treat with hot chocolate after we'd finished putting up our own tree. I used my basic brownie recipe which can be found here and it makes a wonderfully decadent chocolatey treat. I bake these in a standard 9" square tin and then use a triangle cutter to cut out the shapes once the brownie is cold - do try and wait till it's as cold as possible as this will give you a nice clean cut edge. No cheating. I used candy melts to drizzle the green pattern over the pops and also to stick the lollipop sticks into the brownies. These last well for up to 5 days and they make great festive gifts once wrapped in a cellophane bag and tied with ribbon. 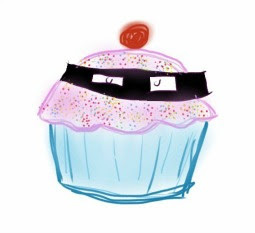 I mean, who doesn't like baked gifts?! Getting the kids involved to help decorate would really put a nice 'handmade' touch on these brownies and I'm sure we'll make them again this weekend and maybe add some M&M'S to the mix to put some colour on the inside of the brownies as a nice surprise. Me and the boys are making spritz cookies tomorrow with my spangly new cookie press, Betsy from Java Cupcake has a fab looking recipe so I'll keep you posted on the end results. 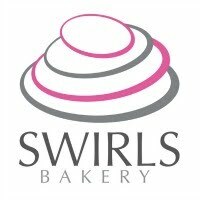 I'll no doubt be instagramming our messy progress so don't forget to follow us if you don't already! 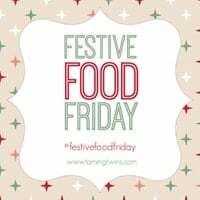 I'm joinging in with Sarah from Taming Twins who is now hosting Festive Foodie Friday! 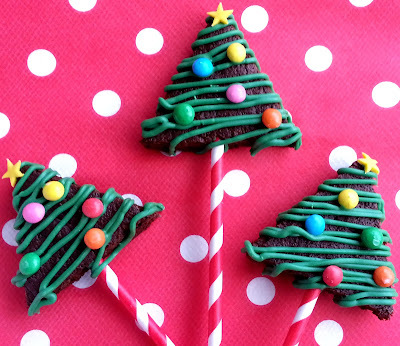 Hop over some amazing festive food inspiration!